I like it! it's a maple leaf without being too maple leaf-y, if that makes sense. I like the inclusion of the North Star. And the colors are pretty different but work well together. Surprised no red but yet, at the bottom of one of the letters, there's a Red variant of the logo. 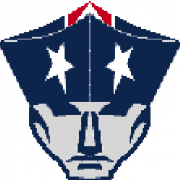 overall I like the logo, it'll make a good sleeve emblem or bottom-of-number emblem that stands out. How long before a sponsor takes it over and fights for attention? I quite like it. It's a fresh take on the maple leaf, and I like the inclusion of the north star. The colours aren't what first come to mind when you think of Canada, but they work well together. The font's a tad pedestrian -- when I first watched the Twitter video and the logo scaled down quite a bit, I worried that it was actually Calibri -- but that could be updated later on without losing the rest of the logo. Really glad they didn't lean on red as the primary colour. It makes the logo stand out. I like that there is no soccer ball. First club announcement is in a couple of weeks, so we should start to see some team logos hopefully. 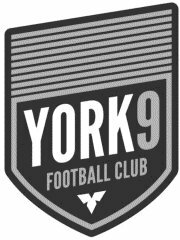 York 9 FC will be announced on May 10th. They're crest has already leaked. That's a grayscale logo from a copyright filing. The invite to their launch leans heavily on black and green, so that may be an indication of the club colours. York Region is made up of 9 municipalities, hence the name. They so easily could have gone for yet another United, thank god for something different. 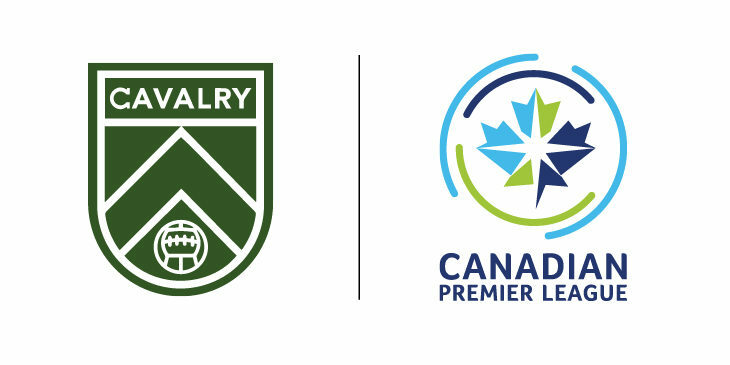 So far as the other clubs are concerned, the CPL has filed trademarks for "Hamilton Founders FC', 'Calgary FC' and 'Halifax Wanderers FC', as well as 'Port City FC' and 'Cavalry FC'. 'FCE' is also in there, which I'm guessing may relate to erstwhile NASL outfit FC Edmonton? No crests or the like in there unfortunately, aside from the already unveiled York9 and CPL badges. Has there been any word on the outfitter? Are they going to go the MLS/Chinese PL and secure a deal with a brand for the whole league? Or are teams going to be individually outfitted by various brands? No word as of yet. My guess is either each club goes their own way (because time is tight with a Spring 2019 launch) or a league deal with Umbro (who have close ties with the CSA). Umbro balls have been used in a number of promo shots thus far, if that means anything. 8 clubs are expected for 2019. York, Hamilton, Winnipeg, Halifax, Calgary and Surrey/Langley BC, plus FC Edmonton (former NASL) and Ottawa Fury (former NASL/current USL). Halifax will be launched on May 25, and Winnipeg on June 6. Possibly Calgary this week. Victoria is apparently a good chance as well! And as I wrote that post, they tweet their crest unveiling video. Cavalry Football Club. What a horrible name. Could at least be the Calgary Cavalry (FC). I don't mind the Cavalry logo (er, crest), but I feel it's a bit boring just being one colour and I think they could have fit all three colours in there somewhere. However, the logo on Twitter is white with green writing but the logo on their website is green with white writing (both seen in Steve61's post above) and the logo shown in the stadium render is red with white writing, so I could see it being the case where the logo changes colour depending on the background it is on. From their website about the colours of "Army Green", "Calgary Red" and "Black on Black". (I understand all these sports teams want their colours to be named something, but Black on Black is pretty dumb). Synonymous with Calgary along with the beautiful vista of the Rocky Mountains, is the lush green landscape of the foothills. The name Spruce Meadows itself evokes thoughts of pristine green lawns, perfectly manicured. Additionally, the flag of The Lord Strathcona’s Horse is Red lettering atop a field of dark military green. The colour dovetails perfectly with a club based in the foothills and playing out of history steeped Spruce Meadows. The region is famously red and black, as seen in other popular sports franchises and Universities of the area – Stamps, Flames, Dinos – but the inspiration for the red in the Cavalry FC badge is the colour of the Lord Strathcona regimental flag. Calgary Cavalry is a mouthful to say. I think they might made the choice to go with one of those names and not both for that reason. Though I do feel the name Cavalry FC is going to lead to the inevitable calling of the team "Calgary FC" by people who mishear the name or just plain think the team's name is "Calgary FC"
First, it's Cavalry, not Calvary. Those are two very different things. 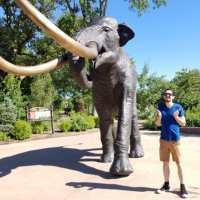 Calgary Cavalry is an awful name, Cavalry FC is unique and interesting. I think this is bound to be one of the best CanPL identities. Well that’s just me misspelling the name. I do think it’s a clean look, I’m just not sure how I feel about three different logos, with each logo ignoring two of the colours.